It all starts on the internet: 92% of people planning to buy a house will go online first, out of simple curiosity. First impressions are directly related to the sale of a property because they may lead potential buyers further in their home-buying experience. In other words, the sale of a property is intimately linked to its photographs. But can good pictures increase the value of a listing? Choose your photographer wisely, because the answer is yes! How can a property's photos influence its value? The equation is quite simple to understand... A professional real estate photographer can highlight a property. What potential buyers need to see when they go online is what makes a property unique, its most recent and significative renovations, and so on. He has to understand the benefits of living in this house. Through their photos, the photographer justifies why a house will be sold at a higher price than another. It is proven that properties that have been photographed by a professional real estate photographer will be sold at a higher price. Also, listings with photos shot by a professional real estate photographer will attract much more attention from potential buyers browsing the web in search of a new property. 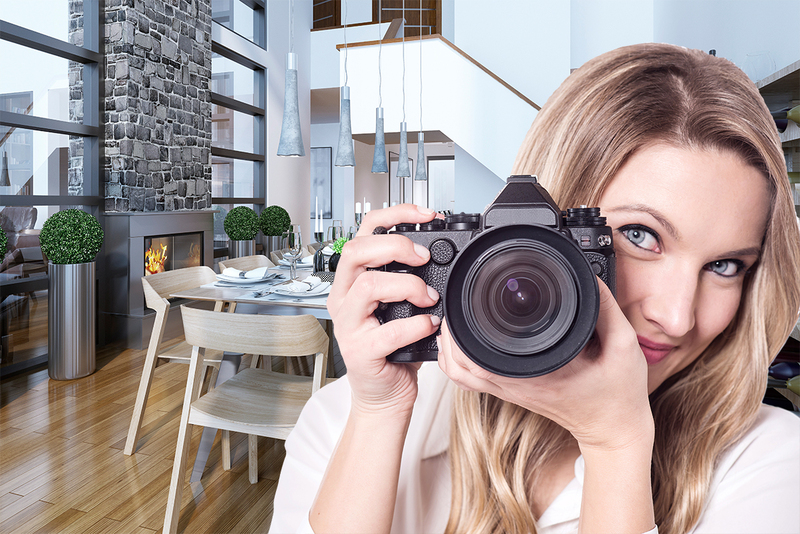 The more popular a listing is, the more likely it is to be sold within a reasonable period of time, especially in comparison to others that have been photographed by an amateur. In summary, just too save a few dollars, too many people believe that, taken by a professional photographer or not, a listing's photographs will have the same impact... If you are a serious real estate broker who wants to sell at the right price and in a timely manner, you need to hire a professional real estate photographer. Your reputation as a professional broker will follow you everywhere!